CES 2011 is now over and Daniel, James and yours truly discuss the Verizon iPhone announcement and Confirmation by an AT&T exec, Kevin Rose stating that iPad will have a Retina display, Motorola Atrix, Bionic, Magellan iPhone case, ray into Android phones and tablets, Samsung 4g LTE smart phone, Honeycomb 3.0 and we discuss our favorites announcements and the ones that are not-so-much. So sit back, chill-out and listen to this funny trio of dudes just chatting about mobile, all for your listening pleasure. 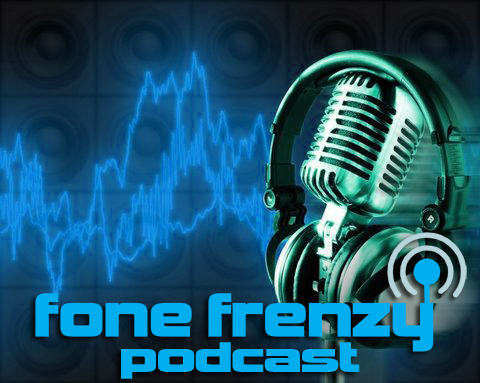 2011 CES is here and so are Daniel, James and myself with another FoneFrenzy podcast. In this podcast, we discuss the trends, predictions and all around good gadgets in the mobile tech space. So sit back and listen to our new podcast with music provided by Daniel’s bandmates Glass Fence. Also there are listener questions asked and answered. We at FoneFrenzy love to interact with our readers. We want to know what is on your mind this week. Tomorrow we will be recording a podcast and we want to know if you have any questions. They can be long, short, average, or w/e you want. It could be questions on our opinions, thoughts, or maybe you need help with something. We won’t have time to do long research questions on things like how to root a device, but if you want to know what apps we like, if certain apps exist on certain platforms, phones we like, phones we think would be good for you or a family member, then we are more than happy to answer. So let us know. We are accepting any and all questions for the podcast so just let us know in comments. To add a comment just press the ‘Leave a Comment’ button underneath the post title. You can also send us your questions on Twitter to @FoneFrenzy or @Blayze04. Just make sure to add the Hashtag #FoneFrenzy so we can find them. Ask away people, we are happy to answer! Topic #1 – iPhone 4 – Launch Day! Topic #2 – Motorola Droid X and Droid event. Topic #3 – T-Mobile word game to unveil the Samsung Vibrant, Galaxy S phone branded for T-Mobile. Topic #4 – 160,000 Android phones selling every day. Topic #5 – HSPA+ live in 25 markets (including LA, I have tested and its FAST). Topic #6 – AMOLED vs SUPER AMOLED vs LCD – which do you prefer? …download the audio file here. Topic #3: Evo 4G went on sale: Sprint said the EVO 4G sold more phones than the Palm Pre and Samsung Instinct on their launches. Tnkgrl Mobile and Matthew Bennett (Nokia Daily News, US Mobile Industry) got together over the weekend to discuss the iPad- 1st generation, how Microsoft and Sony should really be concerned, iPhone developments, Info on Steven K.Roberts = uber MIT geek, tnkgrl’s my thoughts and experiences as an iPhone developer, Nokia Nuron and Nokia X6. Click here to subscribe to Tnkgrl’s podcast.